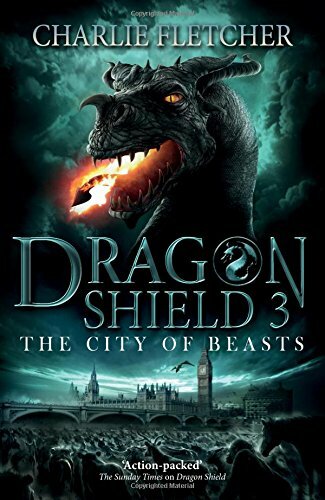 Charlie Fletcher (Author) Nick Tankard (Illustrator) The City of Beasts (Dragon Shield 3) - Published by Hodder Children's Books (7 April 2016) New allies and new hope leave siblings Will and Jo ready to face the dark force that lurks in the British Museum. It has frozen London, leaving the life force of the city's inhabitants to drain away. But with nearly all the animal statues of London and a nest of dragons against them, will they be able to save their mum - and the world - before time runs out? 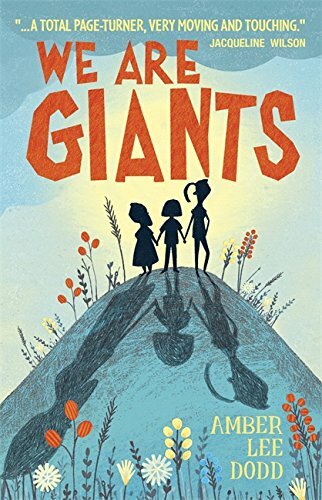 Amber Lee Dodd - We Are Giants - Published by Quercus Children's Books (7 April 2016) A brilliantly funny and wonderfully warm-hearted story about love, family, and what it means to be different. 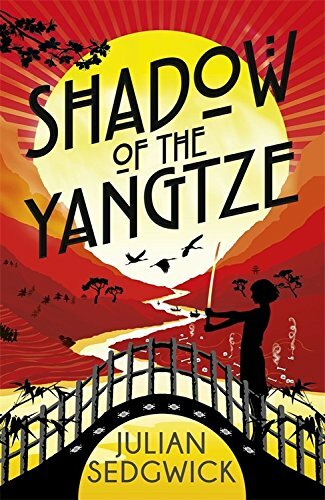 Julian Sedgwick - Shadow of the Yangtze (Ghosts of Shanghai) - Published by Hodder Children's Books (7 April 2016) Ruby - a Western girl who feels more Chinese than English - and her friend Charlie must follow the Yangtze hundreds of miles upriver, travelling by Chinese junk and rogue steamer, through bandit and ghost haunted countryside - doggedly tracking Moonface as he spirits Charlie's sister Fei off to his home village. Everything is in flux around them: civil war pulsing, with Nationalists, Communists and warlord bandits struggling for control. The river rises and falls, villages spring up and are gone again. Ruby and Charlie brave a shipwreck and a gunbattle and then take a perilous cliff path to Moonface's lair. 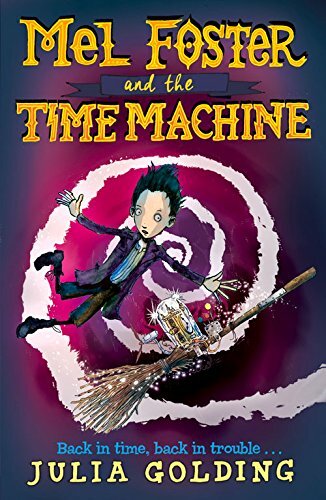 Julia Golding - Mel Foster and the Time Machine - Published by Egmont (7 April 2016) Mel Foster and the rag-tag heroes of the Monster Resistance are back in this exciting fantasy adventure from award-winning author Julia Golding. That’s the fiendish challenge that faces Mel Foster, Eve Frankenstein and their friends when priceless items begin vanishing all over the world. The Mona Lisa . . . Queen Victoria’s Crown Jewels . . . nothing is safe! But the next item on the thief’s list is no diamond. It’s Mel himself. Before Mel knows it he’s been kidnapped and stranded in the past. He’s back in time, and back in trouble! On Mel’s second monstrously big adventure he encounters famous and unusual heroes, and more than a couple of villains: Quasimodo the Younger, Mowgli and his wolf pack, and a cheery young pickpocket by the name of the Artful Dodger. 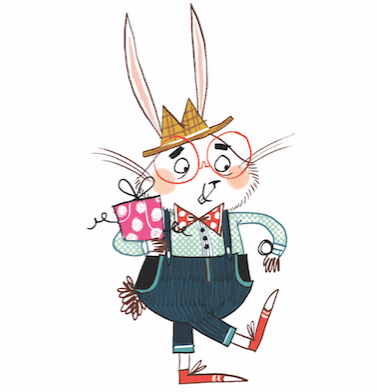 The time-twisting follow up to Mel Foster and the Demon Butler, winner of a Primary Teacher Bronze Award 2015. This warm and witty gothic tale from the author of the Costa award-winning Cat Royal series will be perfect for 9+ fans of Chris Riddell's Goth Girl and Terry Pratchett's Dodger, and lovers of historical adventure.